Welcome to Hotel Sole! We are the Tabilio family, owners of this property for more than 50 years, and we are happy to welcome you to our hotel! We are located in Montesilvano, two steps from the sea: in this fantastic location, you can enjoy our beautiful beach and all the comforts of an All Inclusive holiday. If you prefer total independence, you can choose our B&B format and stop by at the restaurant whenever you want. Our inviting 3-star hotel offers 2 pools, many recently renovated rooms, brand new design suites equipped with every comfort and high quality services. ARE YOU READY FOR the holiday of your dreams? Our beach is just a few meters from the hotel! A truly unique Italian landscape is expecting you: on the panoramic terrace, you can admire both the view of the Adriatic Sea and the majestic snowy peaks of the Majella and Gran Sasso d'Italia, an experience to be had! For your enjoyment, we offer brand new rooms and a wide range of services and facilities designed for your comfort: swimming pools, private beach, animation, bicycles for hire. For lunch, you can choose between our bars, including the popular kiosk on the beach, and the restaurant "I Narcisi", where you can enjoy traditional local and national dishes. YOUR HOLIDAY WILL BE UNFORGETTABLE and do you know why? Because your satisfaction is our greatest reward! We at Hotel Sole know how to take care of our guests thanks to our many years of experience; every detail is designed to make your stay a memorable holiday! Good food is a priority for us, enjoy all our delicious options among restaurant, beach kiosk and sea view bar! Two swimming pools to cool off under the Abruzzi sun and immerse yourself in total relaxation: one for adults with a new whirlpool corner and one for children! We are just a few steps from the sea; you can enjoy our private beach, right in front of the hotel. 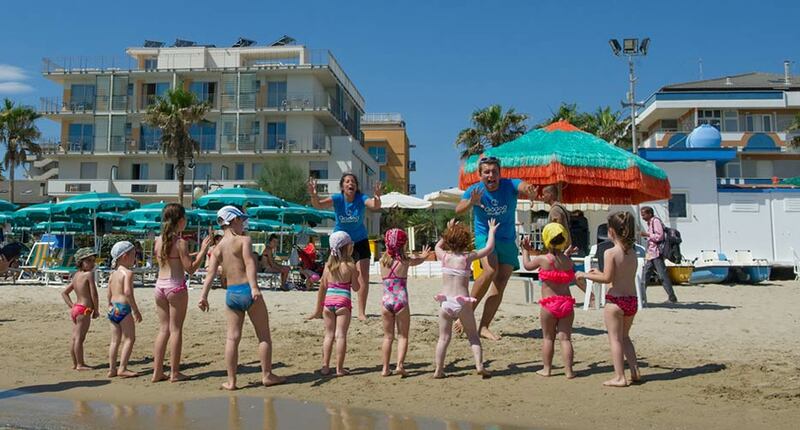 Many services aimed at making your family holiday a child's play: from the baby pool to the Mini Club! 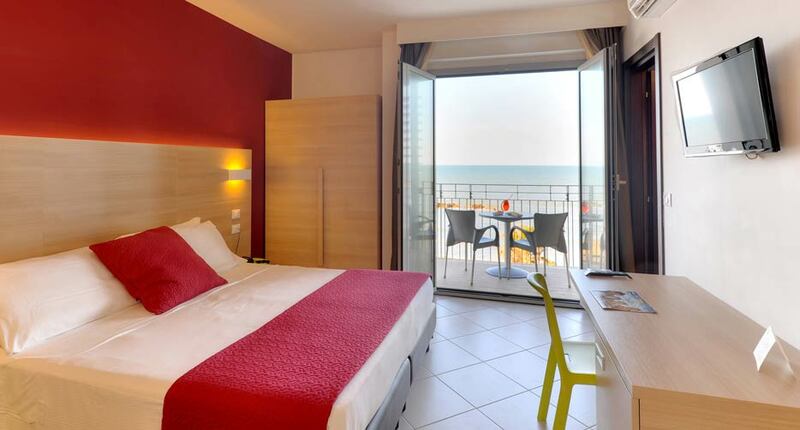 Hotel Sole is located just 10 km from the Abruzzo International Airport in Pescara, which can be reached in about 15 minutes by car. You can request our shuttle service to and from the airport and the train station of Pescara. Moreover, the motorway exit is only 4 km away!